Pick up at Tribhuwan International Airport, Kathmandu, Then You will Going For Hotel.. Our Assistant will explain briefly the program Before Check-in Kathmandu hotel. 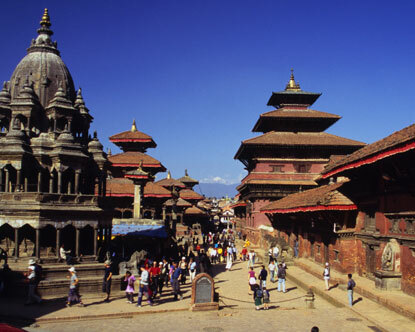 After breakfast, Then You will Processed for half day sightseeing tour in Kathmandu Valley; Pashupatinath Temple, one of the most important Hindu temple in Nepal. We keep going for walk to see the huge of stupa of Buddha, also known as Bodhanath, the largest stupa in Nepal. Afterward taking a ride to Bhaktapur, a fascinating town, visit Bhaktapur's Dubar Square featuring the Victorian illustrations style with temples and temples complex. 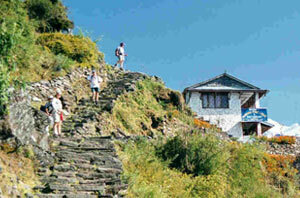 After Enjoy The All Sightseen Then You Will Come in Hotel & Overnight Stay in Nagarkot Hotel / Resort. After breakfast, Then you will return to Kathmandu and Enjoy half day valley sightseeings with Kathmandu Durbar Square, the place of the Malla and then the Shah Kings of Nepal, visiting Kumari Temple, house of the virgin goddess, visiting Swoyambhunath, a stupa on the top of hill - from here you can overlook the scenery of Kathmandu Valley. Enjoy yourself on Rickshaw ride to have a Typical Nepalese Take a Hot & Tasty Dinner at a local restaurant, After Sightseen & Diner Then You will come Back in Hotel. Overnight Stay in Kathmandu Hotel. After breakfast, then you will depart for Pokhara and commence a full day sightseeing of Pokhara, the most popular destination in Nepal after Kathmandu, spend enjoyably the morning trip along the Famous bank of Phewa Lake, you can admire the stunning view of the Fish Tail's Peak reflected in the silver surface of the water. You can also see the Beautiful Annapurna panorama forms a superb backdrop to Pokhara from the lake. Aside from Phewa Lake, we keep visiting the Seti River gorge - one of the best places to see. You will have an opportunity to take a glimpse to the limestone cave of Mahendra Gufa, used to be well-known for its stalactites. After Sightseen then you will take hot & Tasty Dineer. & Over Night Stay in Pokhra Hotel. After breakfast, Then you will travel overland from Pokhara to Famous Royal Chitwan National Park. 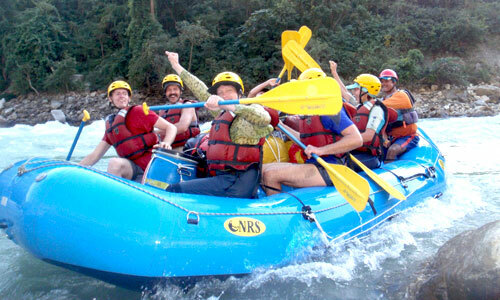 We experience you a lots of Safari activities; jungle walks, canoeing, 4WD safaris and so forth. Once the night falls down, we entertain you with cultural performances including bonfire before getting in bed. After Sightseen then you will Return Back in Hotel. Take Hot & Tasty Dinner . Overnight Stay in Chitwan Hotel. After Breakfast, then you will Going for full day Famous & Enjoyable safari activities in Royal Chitwan national Park - if you are lucky, you will see many amazing creatures that you spend most time to looking for; rhinoceroses, Chitwan's royal Bengal tigers, leopards, monkeys, many types of deer and reptiles. Check your camera gear - preferably with a telephoto lens and you will not miss any shots. After Sightseen then you will Return Back in Hotel. Take Hot & Tasty Dinner . Overnight Stay in Chitwan Hotel. After breakfast, then you will Going for overland from Chitwan to the Lumbini, the birthplace of Lord Buddha, where has been revered as the place of holy pilgrimage. Lumbini has been included as a World Heritage Site by UNESCO - if the time permits, we take you to visit Famous Manakamana Temple, believed as the wish fulfilling goddess by cable car. After arrival Lumbini, then you will transfer you to the hotel, check-in and then we go walking through the Sacred Famous Lumbini Garden where the Buddha was born converges on the Ashoka pillar, visit the Maya Devi Temple with its bas-relief sculpture depicting Maya Devi holding on with her right hand to a branch of pipal tree and giving birth to the infant Buddha who stand up on a lotus pedestal. After Sightseen then you will Return Back in Hotel. Take Hot & Tasty Dinner . Overnight Stay in Lumbini Hotel. After breakfast, Then you will Going for Famous & Enjoyable Sightseen , 27km west of Lumbini; visit the famous important archaeological site, Tilaurkot, the ancient palace of King Suddodha (Siddhartha Gautam's father), where the Buddha spent his formative years as a Shakya Prince. Allow yourself for a moment to wander around and soak the atmosphere. There's a museum nearby, The Famous Kapilvastu Museum; the pottery, jewelry and ornaments are gathered in-house. 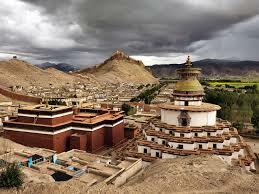 End up the remarkable tour in Tilaurkot by visiting the shrines, monasteries and stupa near the sacred garden. After Sightseen then you will Return Back in Hotel. Take Hot & Tasty Dinner . Overnight Stay in Lumbini Hotel. After breakfast, then you will Return From Lumbini by road and come back to Kathmandu. Check-in the Kathmandu hotel, Take some Rest in Hotel . After Rest Then you will Going For Leisure & Independent Activities. After Leisure Tour then you will Return Back in Hotel. Take Hot & Tasty Dinner . Overnight Stay in Kathmandu Hotel. After breakfast, Then you will Going For Leisure & Independent Activities. After Independent Activities then we will and then transfer to airport for your next stop.